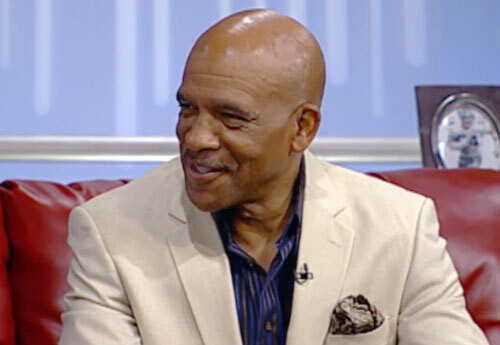 Drew Pearson is a former NFL wide receiver who played for the Dallas Cowboys from 1973–1983. After his career as a player Pearson was both coach and executive. In 1985 Pearson was wide receivers coach for the Dallas Cowboys and in 1991 he was head coach for the Dallas Texans. In 2001 Pearson was VP & General Manager for the NY/NJ Hitmen and from 2011–2012 he was General Manager for the Allen Wranglers. Pearson is a Super Bowl champion for Super Bowl XII plus he is a three-time Pro Bowl selection for 1974, 1976 and 1977. Pearson also is a three-time First-team All-Pro for 1974, 1976 and 1977 as well as Second-team All-Pro for 1975. Pearson was inducted into the Dallas Cowboys Ring of Honor in 2011. Sports Speakers 360 is a booking agent for pro athletes. If you would like to book Drew Pearson for a speaking engagement, appearance or endorsement, contact a Drew Pearson booking agent for fees at 1.855.303.5450.